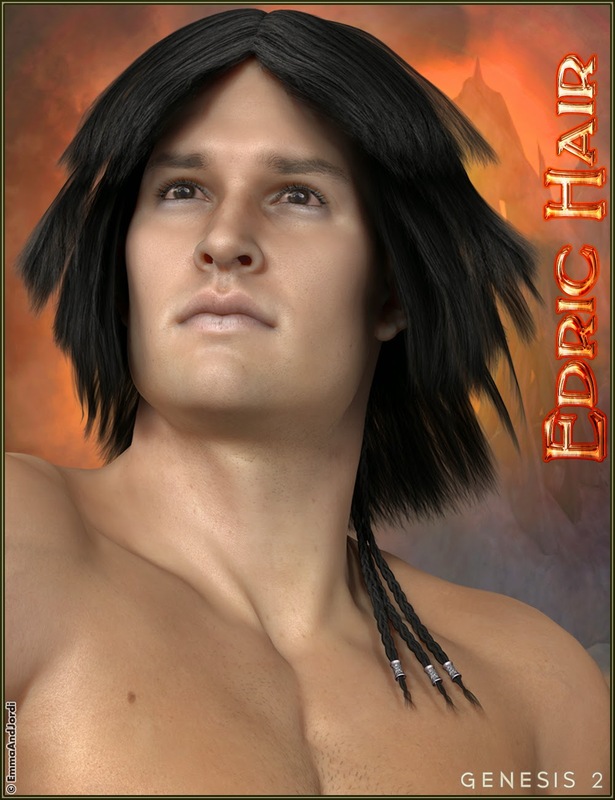 Here is our hair for Gianni 6 release: Edric Hair. You can also use it for any Genesis 2 Male (M6, Jayden...). 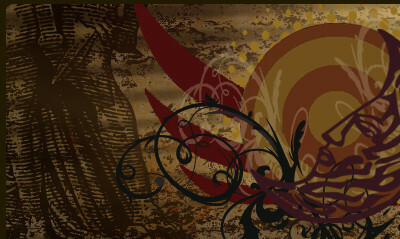 It's a hair with lots of movement morphs, very versatile. You can hide the braids and create a new look. It comes with 20 mat poses and 62 morphs. It's very useful too for action scenes because of the movement morphs that the hair includes. 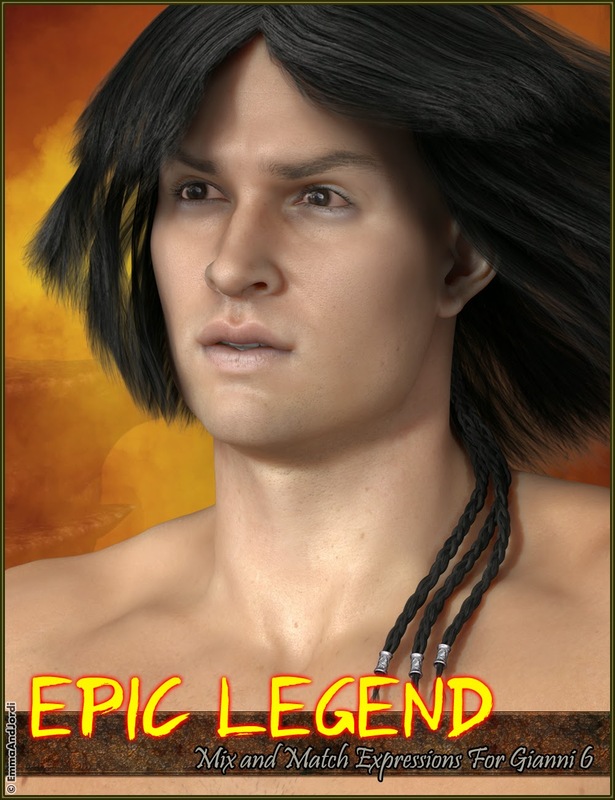 This is one of the 3 products we have in the release of Gianni 6 at DAZ: Epic Legend. They are mix and match expressions, that you can customize with total freedom combining the upper face and lower face partials. And you can also use them in any Genesis 2 Male figure. 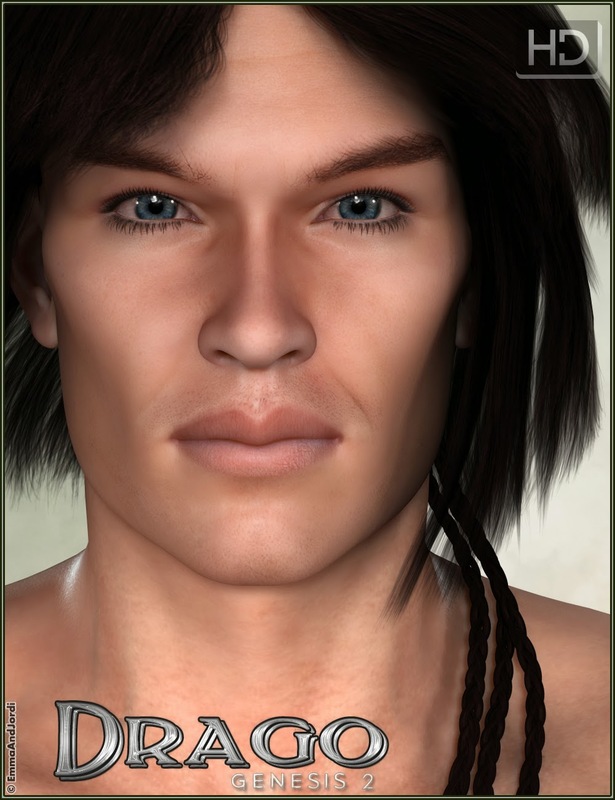 Our character for the release of the new male figure at DAZ, Gianni 6: EJ Drago HD. He is a hyper-realist character with high definition morphs. He has lots of options for tattoos and wounds that you can mix and match. Estrella is our new character for Genesis 2 Female, just published at DAZ, with highly detailed skin and makeups, and many options to customize her appearance. Includes a beautiful custom sculpted morph for the head, and also sculpted genitalia, elven ears, and a set of body painting, makeup, nails, and lashes that can look great together: mix and match them as you wish. 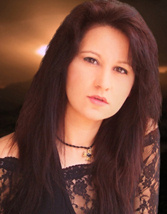 She works on DAZ Studio and Poser, and has mats for both applications.